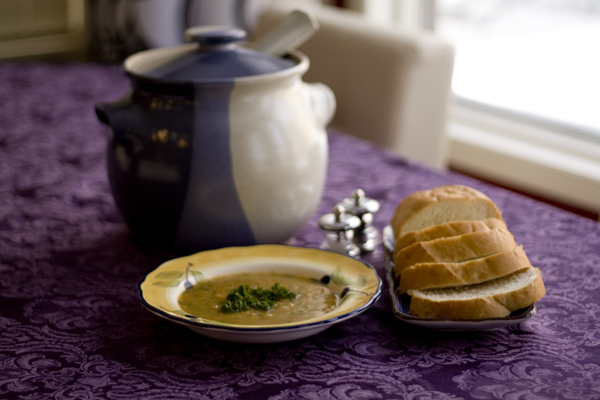 Leeks belong to the same family as garlic, onions, shallots, and scallions have a delicate flavour and add a subtle, sweet touch to this soup. 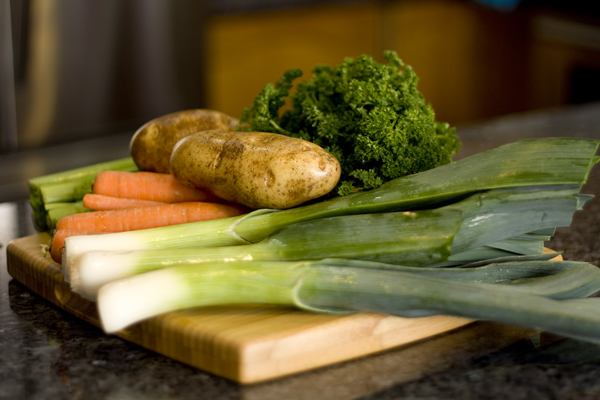 Leeks are high in vitamin A, vitamin K and manganese. This soup is thick, creamy, sweet and has a touch of smokiness. 1. Saute leeks in margarine with salt, pepper and smoked paprika, on medium heat for about 10 minutes. Stir often, as you do not want to brown the leeks. 2. Add vegetable stock, water, potatoes, carrots, celery, coriander, and cook for 30 minutes. 3. Pour the mixture into a blender no more than half full. Cover and firmly hold lid in place; pulse a few times before leaving on to blend. Puree in batches until smooth. Return to pot. Add parsley and marjoram and stir. Add more salt and freshly ground pepper if needed. 4. 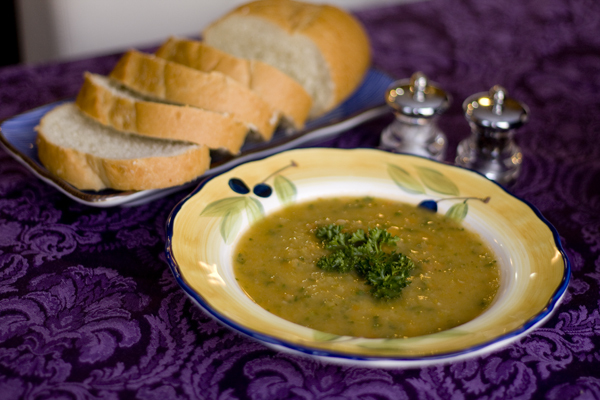 Serve with a fresh french baguette.